Fall is in the air and I’m excited for its arrival. Ross and I are heading home from Brazil tonight. 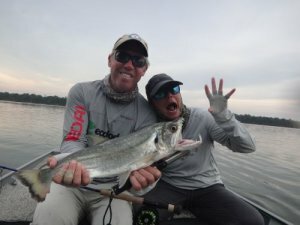 We have spent the last six days fishing in the Amazon jungle, a trip I will never forget. The Ecolodge Da Barra was even better than we could have hoped. 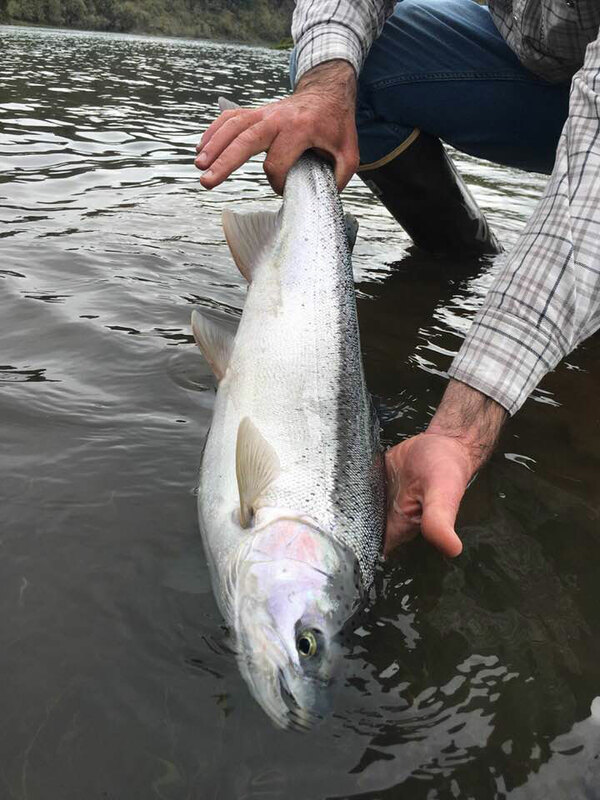 The lodge, food, staff & fishing were 5 Star. Wading with giant crocodiles in the water was a bit terrifying, but listening to our guide Branco call them in was fascinating. He would make crocodile sounds and they would charge the boat and grunt back. Since it is October I chose the Payara (Vampire Fish) photo for my message. I look forward to seeing your fish photos. Please email them to me so I can add them to our gallery on the website. I am also looking for members that would tie flies during the wet fly hour before our Tuesday monthly meetings. Our member contact list was updated when we launched the new website. Check your information to make sure it is still current. Our meeting reminders are only effective if we have the correct email. If you do not have the new password login, let me know. Thank you to everyone for using the new meeting registration and paying online, it is helping tremendously with check in and accuracy of guests and meal selections! Don’t forget we have the new club hats for sale – $20 at meetings and $25 if we need to ship. They make a great gift. Our new friend Thiago at the Amazon Lodge wore his all week. I have some good photos of him in our hat. Looking forward to seeing you at the October meeting. Don’t forget to bring your fly fishing magazines to exchange with other members.